What Are The Best Coffee Shops Manhattan Has To Offer? Coffee shops in Manhattan? Your first reaction might well be to question whether or not you have the time to go through an article that lengthy. After all, according to Daily Coffee News, Manhattan neighborhoods have "the highest density of cafés per ZIP code," something that makes trying to sort out the best exceedingly difficult. No worries, though. We just need to narrow down our target area. While there might be an overabundance of shops around Manhattan, if we concentrate on the immediate vicinity around Renoir House Manhattan, we start to get a much clearer picture of what's hot, and what's not. Renoir House, located on East 63rd Street, is positioned within a cozy corner near Manhattan's Upper East Side neighborhood. Here, the number of shops is still dense, but the truly quality offerings stand out like a sore thumb. Which of these make the best impression on the area's coffee-conscious connoisseurs? Only the hippest spots with the best brews make the cut. We'll stick to the establishments closest to Renoir to illustrate just how deep the well of choices goes. For the small, intimate setting with exemplary service, Birch Coffee is a local chain that stands out. What they lack in seats at this tiny establishment, they make up for with high quality coffee and a solid company philosophy—give back to the customers and community. Their Upper East Side location, right at 62nd Street and Lexington Avenue, is oft-frequented throughout the day and well-reviewed by its clientele. As most patrons will point out, the house roasted brews are among the tastiest in the city, and the fact that they are "thoughtfully-sourced" (by hand in Long Island City) makes them that much more appealing. Up the road at 878 Lexington Avenue, you'll find Gregory's Coffee. From the outside, it's an unassuming establishment, another in the long line of stores you'll see along the street. Inside, it's spacious, with a nice atmosphere and plenty of seating for the clientele. When it comes to the coffee, though, the unassuming humility goes out the window, as they take their brews seriously and offer up some of the most exceptional blends you'll find. Some say this comes at the expense of other items on the menu, like the baked goods. If you're on the hunt for coffee alone, though, you'll be impressed by the dedication they've poured into each and every cup. Heading further north, now at 961 Lexington Avenue, you'll come across Neil's coffee Shop. They put an emphasis on being an older establishment, having existed for more than half a century, and keep much of that old-school look to accentuate the vintage charm. From the signs to the pictures hanging on the walls inside, everything seems authentic. When it comes to the coffee, you'll be equally impressed. Pair it with one of their breakfast options (the pancakes are particularly popular) and you're in for an A.M. treat like no other. They even deliver within a certain radius, so you might even be able to snag your favorite menu items while you're out and about. Just down the way from Neil's, at 985 Lexington Avenue, is Oren's Daily Roast. Above all else, this local coffee chain keeps it fresh and casual. While it might not be the ideal location for those looking to camp out and get some work done, it is a great place to grab and go, or, if you're lucky enough to score a seat, relax and enjoy some conversation, while sipping on a rather reasonably priced cup of coffee along with a light treat. The baristas are friendly, the location is small and inviting, the robust flavor of their roasts will keep you coming back for more. Another coffee shop located on Lexington Avenue (perhaps they should rename it the coffee corridor?) with great brews and a great atmosphere. Joe Coffee is well-known for being cheery and bright, a welcome antidote to some of the dimly-lit, darker establishments you'll find strewn about here and there. It might not offer the most extravagant menu around, but they have a wide selection with good prices. The service is noted as fast and friendly, and they have plenty of seating for customers. You won't hang out here all day, but for a quick meet-up, there are few spots finer. Pair your coffee with a treat (you can't go wrong with the donuts) and you're off to the races. Heading over to East 75th Street, Oslo Coffee Company offers the "minimalist" coffee shop variety for those that want to keep things simple. Like many smaller establishments, they make it a point to provide prompt service and remain exceedingly friendly to their customers. Options like the espresso are well-prepared, and the purchase of some beans will net you a free coffee. 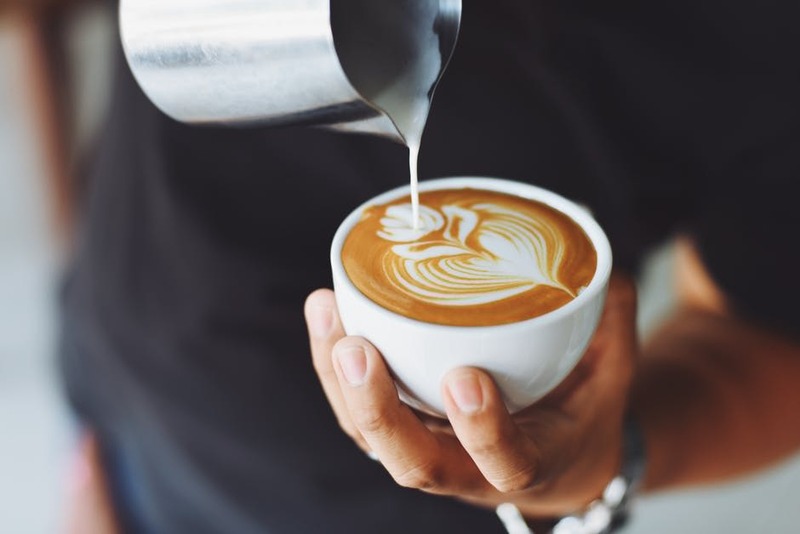 Though the shop is small (you probably shouldn't expect to find much in the way of seating), they hit the most important characteristic of a great coffee shop right on the nose: having great coffee. This isn't just the premier destination for local coffee enthusiasts. This is a prime residence in the preeminent New York rental community. You'll find that Renoir House puts you right in the middle of many of the city's most notable attractions. Shopping, dining, culture, and more are right at your fingertips. Within the luxurious building are fabulously-designed units, with floor plans ranging from smaller studios to more spacious two bedroom offerings. Regardless of the size, though, they are outfitted with the very best amenities and features, including stainless steel appliances and beautiful countertops and interior surfaces. The building itself has a 24/7 lobby, concierge service, gym, roof deck, and many other perks that make the apartment experience what it was meant to be. Take a look at the view from the Renoir House, and see exactly why its considered the perfect picture of luxury living.